Map of Connecticut county boundaries and county seats. Maps of Connecticut are an vital part of family history research, notably if you live far from where your ancestor resided. Because Connecticut political boundaries frequently changed, historic maps are generally significant in helping you find out the precise specific location of your ancestor’s home town, what land they owned, who their neighbors happen to be, and much more. 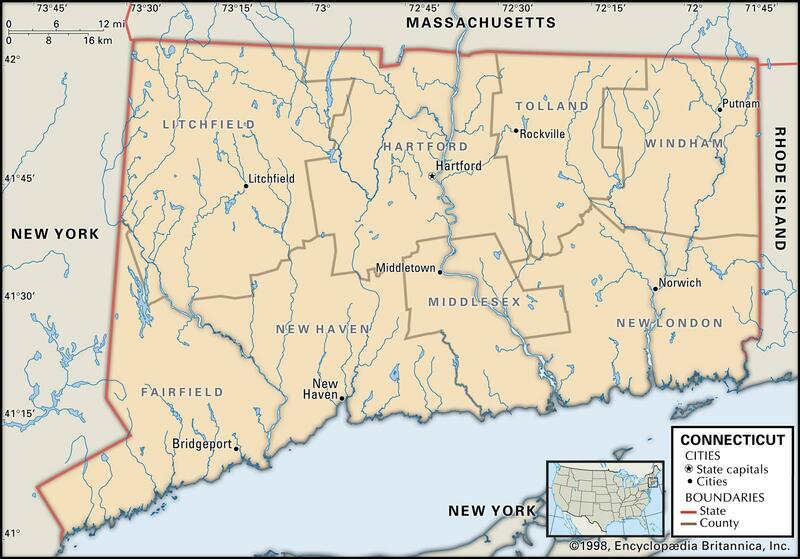 Maps of Connecticut generally tend to be an exceptional source for getting started with your research, given that they provide considerably beneficial information and facts instantly. 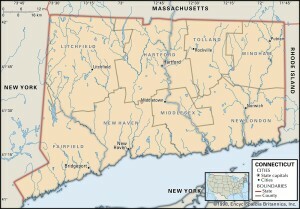 Connecticut Maps are usually a major source of important amounts of information on family history. Connecticut’s 10 largest cities are Bridgeport, New Haven, Hartford, Stamford, Waterbury, Norwalk, Danbury, New Britain, Meriden and Bristol. Learn more about Historical Facts of Connecticut Counties. 1836 Connecticut Atlas Map (with) two inset maps Hartford &c. and New Haven &c.
1880 County and township map of the states of Connecticut, Connecticut and Rhode Island.